Fast, reliable, and high-capacity. 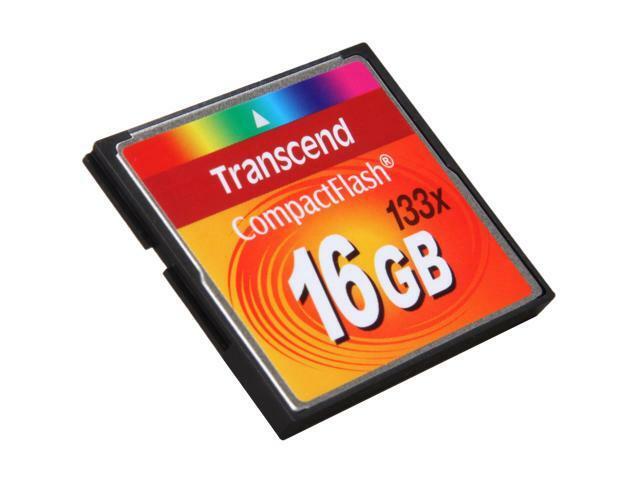 With consistent performance and vast storage capacity, Transcend’s 133x CF cards are the perfect match for enthusiast and prosumer level DSLR cameras and camcorders. Excellent Performance Supporting Ultra DMA mode 0-4 (Default setting: Ultra DMA 4), this Transcend 133x CF card with dual-channel support features premium data transfer rate of 15-40MB/s (max), delivering outstanding, reliable shot-to-shot performance and fast transfer to computer. Rich Features Built-in hardware ECC technology detects and corrects error for data integrity. Low power consumption extends battery runtime so you can take more shots on a single charge. off this chip, you should minimize/prevent unnecessary writes. I cannot inform you how-to configure Microsoft OSes. IMHO, their file system design is so disorganized that they didn't configure folders/directories to be read-write or read-only. 1) set noatime for the root partition in /etc/fstab for mounts, to prevent writing the last-access time in the files inode table for every file i/o. Comments: I bought this CF card for use as a boot/root drive in an embedded system. Installing the OSs was painfully slow, but it was responsive enough as a boot/root drive. It took 90 minutes to install FreeDOS with source code and almost four hours to install Fedora 14 with a full development compliment (GCC, Eclipse, MySQL, Apache, and MediaWiki; no swap). The CF card was running fine as a primary drive; a bit slower than I would have liked, but otherwise perfectly fine. Then, after about two months of use, the CF card dropped dead. I have no idea what caused it to fail - All I know is that all the data it held is gone (good thing I had backups) and that the card won't work anymore. Pros: Works right out of the box, I bought this to replace the 4GB hard drive inside an Ipod Mini. It plus straight in and within 5 minutes i went from having a 4GB ipod mini to a 16GB Ipod mini. Been working great so far. Pros: Worked out of the box in my Rebel XTi and the 7d I rented for a week. Ran into the buffer once on the 7d and haven't yet on my XTi, both shooting raw+jpg. No read errors. Other Thoughts: Do your research! There is WAY too much misinformation on the internet about card speeds and recording HD video. After doing my own research, I purchased this card with confidence that it would perform. It did that and then some. 1080-30p recorded without a hiccup across several videos in varying lengths from ~30sec to several minutes. Yes, if you've spoiled yourself with keeping your camera on burst mode, you -will- run into buffer issues with this card. It's the nature of the beast, you're not paying for a high speed card (keeping your camera in burst mode won't help you get better shots; I'm looking at you, armchair photographer!). Pro's shouldn't even be considering this card, esp. the sports/action type. For casual/nautre/lanscape shots and the occasional video, this card does the job and does it well, for quite an affordable price.